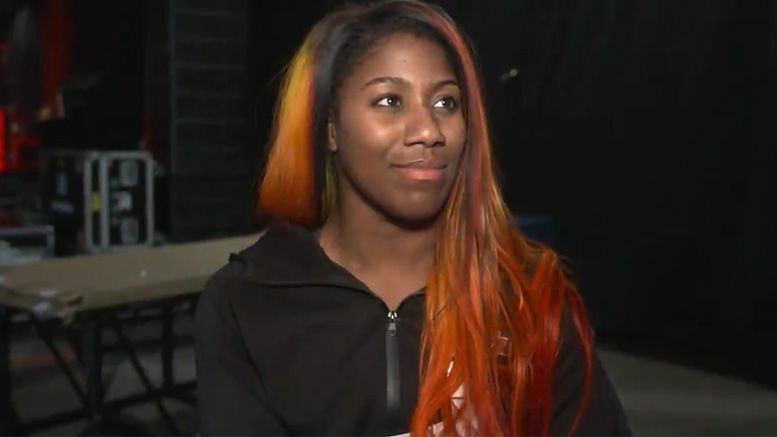 Ember Moon will be out of action for the foreseeable future after suffering an elbow injury that requires immediate surgery. As you’ll recall, Moon lasted in the women’s Royal Rumble on Sunday for over 50 minutes. She was replaced on Raw last night in tag match by Dana Brooke, who teamed with Natalya to face-off against The Riott Squad. Watch the interview with Ember below.